For simple hired soldiers, see mercenary. Condottieri (Italian: [kondotˈtjɛːri]; singular condottiero or condottiere) were Italian military leaders involved in classical formation battles, first as mercenary captains commanding free companies and later as generals of multi-national armies. In medieval Italian, condottiero meant "contractor" but the term later acquired the broader meaning of "military leader", also in reference to Italian Catholics serving as commanders for the Roman Catholic side during the Counter-Reformation (e.g. "Condottiero Alexander Farnese"). includes Italian generals fighting for foreign nations or Italian states in early modern conflicts such as the Italian Wars and the European Wars of Religion. excludes military commanders in contemporary warfare. Some authors have described Guido da Landriano (the real figure behind the legendary Alberto da Giussano) as the "first condottiero" and Napoleon Bonaparte (in virtue of his Italian origins) as the "last condottiero": according to this view, the condottieri tradition would span a huge diverse period from the battle of Legnano in 1176 to the Battle of Waterloo in 1815. Most historians would narrow it down to the years from c.1350 to c.1650, with a particular focus on the rise of the ventura captains and their transformation in captain generals fighting for the major powers during the struggle for political and religious supremacy in Europe. Luchino Visconti defeated the Company of Saint George of Werner von Urslingen at the battle of Parabiago. Alberico da Barbiano, a mercenary alongside John Hawkwood, founded his own (all Italian) condotta, the Company of St. George, and reached acclaim by defeating the Breton company of anti-pope Clement VII at Marino [fr] in 1379 as well as fostering notable other condottiere such as Facino Cane and Braccio da Montone. In the thirteenth and fourteenth centuries, the Italian city-states of Venice, Florence, and Genoa were very rich from their trade with the Levant, yet possessed woefully small armies. In the event that foreign powers and envious neighbors attacked, the ruling nobles hired foreign mercenaries to fight for them. The military-service terms and conditions were stipulated in a condotta (contract) between the city-state and the soldiers (officer and enlisted man), thus, the contracted leader, the mercenary captain commanding, was titled the Condottiere. From the eleventh to the thirteenth century, European soldiers led by professional officers fought against the Muslims in the Crusades (1095–1291). These crusading officers provided large-scale warfare combat experience in the Holy Land. On the Crusades' conclusion, the first masnada (bands of roving soldiers) appeared in Italy. Given the profession, some masnade were less mercenaries than bandits and desperate men. These masnada were not Italian, but (mostly) German, from the Duchy of Brabant (hence, Brabanzoni), and from Aragon. The latter were Spanish soldiers who had followed King Peter III of Aragon in the War of the Sicilian Vespers in Italy in October 1282, and, post-war, remained there, seeking military employment. By 1333 other mercenaries had arrived in Italy to fight with John of Bohemia as the Compagnia della Colomba (Company of the Dove) in Perugia's war against Arezzo. 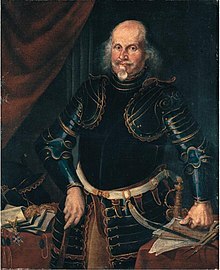 The first well organised mercenaries in Italy were the Ventura Companies of Duke Werner von Urslingen and Count Konrad von Landau. Werner's company differed from other mercenary companies because its code of military justice imposed discipline and an equal division of the contract's income. The Ventura Company increased in number until becoming the fearsome "Great Company" of some 3,000 barbute (each barbuta comprised a knight and a sergeant). The first mercenary company with an Italian as its chief was the "Company of St. George" formed in 1339 and led by Lodrisio Visconti. This company was defeated and destroyed by Luchino Visconti of Milan (another condottiero and uncle of Lodrisio) in April 1339. Later, in 1377, a second "Company of St. George" was formed under the leadership of Alberico da Barbiano, also an Italian and the Count of Conio, who later taught military science to condottieri such as Braccio da Montone and Giacomuzzo Attendolo Sforza, who also served in the company. Once aware of their military power monopoly in Italy, the condottieri bands became notorious for their capriciousness, and soon dictated terms to their ostensible employers. In turn, many condottieri, such as Braccio da Montone and Muzio Sforza, became powerful politicians. As most were educated men acquainted with Roman military science manuals (e.g. Vegetius's Epitoma rei militarii), they began viewing warfare from the perspective of military science, rather than as a matter of valor or physical courage—a great, consequential departure from chivalry, the traditional medieval model of soldiering. Consequently, the condottieri fought by outmanoeuvring the opponent and fighting his ability to wage war, rather than risk uncertain fortune—defeat, capture, death—in battlefield combat. Detail of the frescoes, with soldiers. 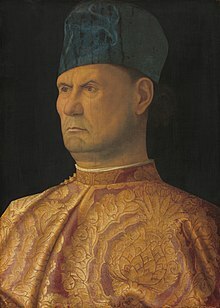 The earlier, medieval condottieri developed the "art of war" (military strategy and tactics) into military science more than any of their historical military predecessors—fighting indirectly, not directly—thus, only reluctantly endangering themselves and their enlisted men, avoiding battle when possible, also avoiding hard work and winter campaigns, as these all reduced the total number of trained soldiers available, and was detrimental to their political and economic interest. Niccolò Machiavelli even said that condottieri fought each other in grandiose, but often pointless and near-bloodless battles. However, later in the Renaissance the condottieri line of battle still deployed the grand armoured knight and medieval weapons and tactics after most European powers had begun employing professional standing armies of pikemen and musketeers; this helped to contribute to their eventual decline and destruction. In 1347, Cola di Rienzo (Tribune and effective dictator of the city) had Werner von Urslingen executed in Rome, and Konrad von Landau assumed command of the Great Company. On the conclusion (1360) of the Peace of Bretigny between England and France, Sir John Hawkwood led an army of English mercenaries, called the White Company, into Italy, which took a prominent part in the confused wars of the next thirty years. Towards the end of the century the Italians began to organize armies of the same description. This ended the reign of the purely mercenary company, and began that of the semi-national mercenary army which endured in Europe till replaced by the national standing army system. In 1363, Count von Landau was betrayed by his Hungarian soldiers, and defeated in combat, by the White Company's more advanced tactics under commanders Albert Sterz and John Hawkwood. Strategically, the barbuta was replaced with the three-soldier, mounted lancia (a capo-lancia, a groom, and a boy); five lance composed a posta, five poste composed a bandiera (flag). By that time, the campaigning condottieri companies were as much Italian as foreign: the Astorre I Manfredi's Compagnia della Stella (Company of the Star); a new Compagnia di San Giorgio (Company of St. George) under Ambrogio Visconti; Niccolò da Montefeltro's Compagnia del Cappelletto (Little Hat Company); and the Compagnia della Rosa (Company of the Rose), commanded by Giovanni da Buscareto and Bartolomeo Gonzaga. The condottieri company commanders selected the soldiers to enlist; the condotta was a consolidated contract, and, when the ferma (service period) elapsed, the company entered an aspetto (wait) period, wherein the contracting city-state considered its renewal. If the condotta expired definitively, the condottiere could not declare war against the contracting city-state for two years. This military–business custom was respected because professional reputation (business credibility) was everything to the condottieri; a deceived employer was a reputation ruined; likewise for maritime mercenaries, whose contratto d'assento (contract of assent) stipulated naval military-service terms and conditions; sea captains and sailors so-contracted were called assentisti. Their principal employers were Genoa and the Papal States, beginning in the fourteenth century, yet Venice considered it humiliating to so employ military sailors, and did not use naval mercenaries, even during the greatest danger in the city's history. None of the principal states were armed with their own proper forces. Thus the arms of Italy were either in the hands of the lesser princes, or of men who possessed no state; for the minor princes did not adopt the practice of arms from any desire of glory, but for the acquisition of either property or safety. The others (those who possessed no state) being bred to arms from their infancy, were acquainted with no other art, and pursued war for emolument, or to confer honor upon themselves. In 1487, at Calliano, the Venetians successfully met and acquitted themselves against the German landsknechte and the Swiss infantry, who then were the best soldiers in Europe. Bartolomeo d'Alviano, one of the condottieri who took part in the Battle of Garigliano (1503). In time, the financial and political interests of the condottieri proved serious drawbacks to decisive, bloody warfare: the mercenary captains often were treacherous, tending to avoid combat, and "resolve" fights with a bribe – either for the opponent or for themselves. Towards the end of the 15th century, when the large cities had gradually swallowed up the small states, and Italy itself was drawn into the general current of European politics, and became the battlefield of powerful armies – French, Spanish and German – the venture captains, who in the end proved quite unequal to the gendarmerie of France and the improved troops of the Italian states, gradually disappeared. The soldiers of the condottieri were almost entirely heavy armoured cavalry (men-at-arms). Before 1400, they had little or nothing in common with the people among whom they fought, and their disorderly conduct and rapacity seem often to have exceeded that of medieval armies. They were always ready to change sides at the prospect of higher pay – the enemy of today might be the comrade-in-arms of tomorrow. Further, a prisoner was always more valuable than a dead enemy. As a consequence, their battles were often as bloodless as they were theatrical. The age of firearms and weapons utilizing gunpowder further contributed to the decline of the "capitani di ventura". Although the mercenary forces were among the first to adapt to the emerging technologies on the battlefield, ultimately, the advent of firearms-governed warfare rendered their ceremonial fighting style obsolete. When battlefields shifted from chivalric confrontations characterized by ostentatious displays of power to an everyman's war, they were ill-prepared to adjust. In 1494, the French king Charles VIII's royal army invaded the Italian peninsula, initiating the Italian Wars. The most renowned condottieri fought for foreign powers: Gian Giacomo Trivulzio abandoned Milan for France, while Andrea Doria was Admiral of the Holy Roman Emperor Charles V. In the end, failure was political, rather than military, stemming from disunity and political indecision, and, by 1550, the military service condotta had disappeared, while the term condottiere remained current, denominating the great Italian generals (mainly) fighting for foreign states; men such as Gian Giacomo Medici, Ambrogio Spinola, Marcantonio II Colonna, Raimondo Montecuccoli and Prospero Colonna were prominent into the sixteenth and the seventeenth centuries. The political practice of hiring foreign mercenaries, however, did not end. For example, the Vatican’s Swiss Guards are the modern remnants of a historically effective mercenary army. The end of the Thirty Years' War in 1648 and the birth of Westphalian sovereignty diminished Roman Catholic influence in Europe and led to the consolidation of large states, while Italy was fragmented and divided. The condottieri tradition greatly suffered the political and strategic decline of Italy and never recovered. Bartolomeo Colleoni defeated the French at Bosco Marengo (1447). Ambrogio Spinola, one of the last examples of the condottieri tradition. Farinata degli Uberti by Andrea del Castagno, showing a 15th-century condottiero's typical attire. Battle of Forlì (1282) – a French army under Jean d'Eppe, for the Pope, against Guido I da Montefeltro, for Forlì. Battle of Parabiago (1339) – Lodrisio Visconti's "Company of St. George", for Verona, against Luchino Visconti and Ettore da Panigo for Milan. Cesena Bloodbath (1377) – Papal and Breton mercenaries under John Hawkwood slaughtered more than 2,000 citizens of Cesena. Battle of Castagnaro (1387) – Giovanni Ordelaffi, for Verona, against John Hawkwood, for Padova. Battle of Casalecchio (1402) – Alberico da Barbiano, for Milan, against Muzio Attendolo and others for the Bolognese-Florentine league. Battle of Sant'Egidio (1416) – Braccio da Montone, for himself, against Carlo I Malatesta, for Perugia. Battle of Maclodio (1427) – Count of Carmagnola, for Venice, against Carlo I Malatesta, for Milan. Battle of San Romano (1432) – Niccolò da Tolentino, for Florence, against Francesco Piccinino, for Siena. Battle of Anghiari (1440) – Niccolò Piccinino, for Milan, against Florence, Papal States and Venice, under Micheletto Attendolo. Battle of Agnadello (1509) – Bartolomeo d'Alviano, for Venice, against France and Italian League. Battle of Pavia (1525) – Fernando d'Avalos for the Empire of Charles V against France. Battle of Marciano (1554) – Gian Giacomo Medici for Florence and the Holy Roman Empire against Piero Strozzi for Siena and France. The Wars of Castro (1641–1649) – between popes Urban VIII and Innocent X and the Duchy of Parma. ^ Pronti, Stefano; civici, Piacenza (Italy) Musei (1995). Alessandro Farnese: condottiero e duca (1545-1592) (in Italian). TipLeCo. ^ Tomassini, Luciano; storico, Italy Esercito Corpo di stato maggiore Ufficio (1978). Raimondo Montecuccoli: capitano e scrittore (in Italian). Stato Maggiore dell'esercito, Ufficio storico. ^ Thody, Philip (1989-07-31). French Caesarism from Napoleon I to Charles de Gaulle. Springer. ISBN 9781349200894. ^ D'Epiro, Peter (2010-03-09). The Book of Firsts: 150 World-Changing People and Events, from Caesar Augustus to the Internet. Knopf Doubleday Publishing Group. ISBN 9780307476661. Mallett, Michael (1974). Mercenaries and their Masters: Warfare in Renaissance Italy. Rowman and Littlefield. Rendina, Claudio (1992). I Capitani di ventura. Newton Compton. Ricotti, Ercole (1844–1845). Storia delle compagnie di ventura in Italia, 4 vols. Димов, Г. Войната в италийските земи през късното Средновековие: кондотиерите - В: сп. Алманах, I, 2015, 30-43. This article incorporates text from a publication now in the public domain: Chisholm, Hugh, ed. (1911). "Condottiere" . Encyclopædia Britannica. 6 (11th ed.). Cambridge University Press. pp. 854–855. This page is based on the Wikipedia article Condottieri; it is used under the Creative Commons Attribution-ShareAlike 3.0 Unported License (CC-BY-SA). You may redistribute it, verbatim or modified, providing that you comply with the terms of the CC-BY-SA.